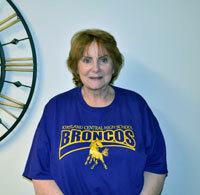 Dr. Rebecca M. Benedict is the Principal at KCHS. She has a PHD and attended Texas State University. For her free time Dr. Benedict likes to read, travel and she likes to bake. Matt Jopek is the Assistant Principal at KCHS. 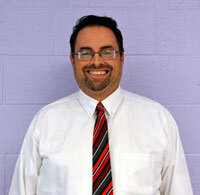 He is the supervisor of math, science, special education, and electives departments. Mr. Jopek has a Bachelor's of Science in Elementary Education from UWEC and Master's Degree in Education Administration from WNMU. He has 8 years of teaching experience and 20 of administrative experience. His hobbies are reading, playing video games, bowling, karaoke, watching movies, and sports. He is married to Adriane Goodluck Jopek and is the father of three children, two sons (22 and 25), a 35 year old daughter, and a 17 year old granddaughter, and four bonus children (20, 18, 10, and 8). 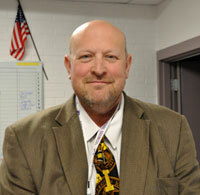 Lyle Ebner is the Athletic Director and Assistant Principal at KCHS. Mr. Ebner has a Masters degree in education administration from Texas State University. He attended the University of Iowa where he received his Bachelors degree. He taught for seven years as a science teacher in San Antonio. He received his superintendent certificate at Texas University.